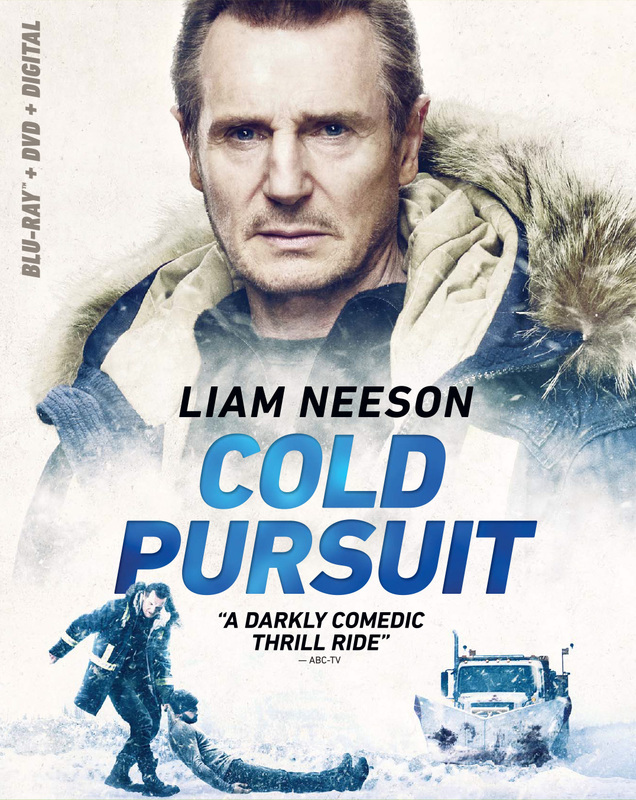 Academy Award® nominee and mega-action hero Liam Neeson (1993, Best Actor, "Schindler’s List"; also known for "The Commuter," Taken franchise, "Widows") stars as a father in search of answers after his son is mysteriously murdered in "Cold Pursuit," arriving on Digital May 3 and on 4K Ultra HD Combo Pack (plus Blu-ray and Digital), Blu-ray Combo Pack (plus DVD and Digital), DVD, and On Demand May 14 from Lionsgate. Based on his 2014 Norwegian film, Kraftidioten (In Order of Disappearance), director Hans Petter Moland delivers thrills and chills in what critics call “an excellent film” (Johnny Oleksinski, New York Post), written for the screen by Frank Baldwin. The edge-of-your-seat thriller also stars Tom Bateman (Murder on the Orient Express), Golden Globe® nominee Emmy Rossum (2005, Best Actress, The Phantom of the Opera), and Academy Award® nominee Laura Dern (2014, Best Supporting Actress, Wild). 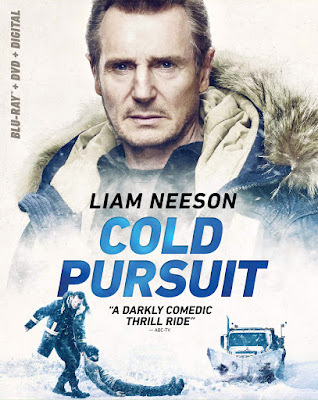 Featuring a wildly entertaining mix of dynamic action and dark humor, Cold Pursuit stars Liam Neeson as Nels Coxman, a snowplow driver whose quiet family life is upended after his son’s murder. Nels begins a vengeful hunt for Viking, the drug lord he holds responsible for the killing, eliminating Viking’s associates one by one. As Nels draws closer to Viking, his actions bring even more unexpected and violent consequences, as he proves that revenge is all in the execution. Take home "Cold Pursuit" and learn what it took to make this action-packed thriller with a behind-the-scenes featurette, cast and crew interviews and deleted scenes. Experience four times the resolution of full HD with the 4K Ultra HD Combo Pack, which includes Dolby Vision® HDR, bringing entertainment to life through ultra-vivid picture quality. When compared to a standard picture, Dolby Vision can deliver spectacular colors never before seen on a screen, highlights that are up to 40 times brighter and blacks that are 10 times darker. Additionally, the 4K Ultra HD Combo Pack features Dolby Atmos® audio mixed specifically for the home, to place and move audio anywhere in the room, including overhead. The "Cold Pursuit" 4K Ultra HD Combo Pack, Blu-ray Combo Pack, and DVD will be available for the suggested retail price of $42.99, $39.99, and $29.95, respectively.